From the shared bike systems, tax breaks for bike commuters, to the national cycle paths spread across the EU, Europeans seems to really love travelling by bike. Not only are people choosing to go to work and run errands using their bicycles, they’re also using this particular mode of transport to put a new spin on a regular holiday. 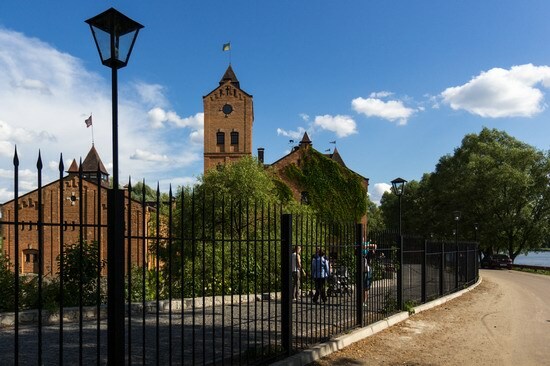 So instead of touring a new city on foot or by bus, travellers are visiting attractions and discovering hidden gems with cycling holidays, the new money-spinners of the tourism industry. Thus, bike tours are the best way to experience Ukraine in an exciting way while boosting the nation’s tourism. 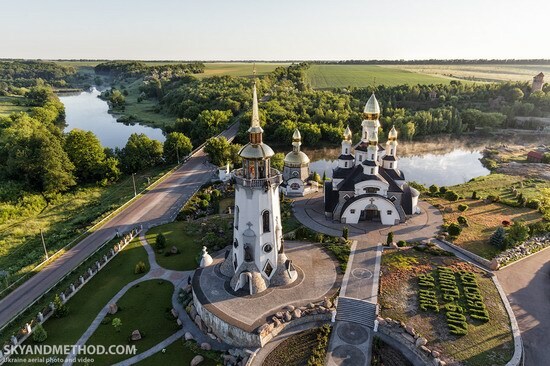 “Kievan Rus Park” is a center of culture and history, located to the south of Kiev, which recreates the science-based architectural image of ancient Kiev and the atmosphere of ancient Russia of the 5th-13th centuries. It is a great place for historical reenactments. 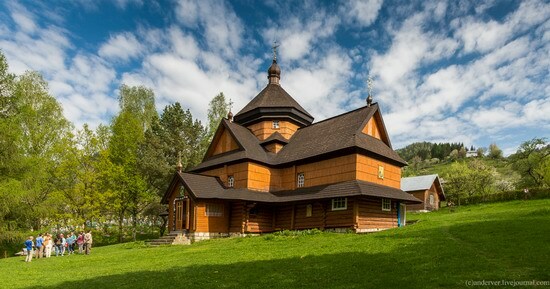 Radomyshl is a small town with a population of about 15 thousand people located to the north-east of Zhitomir, in Zhitomir region. 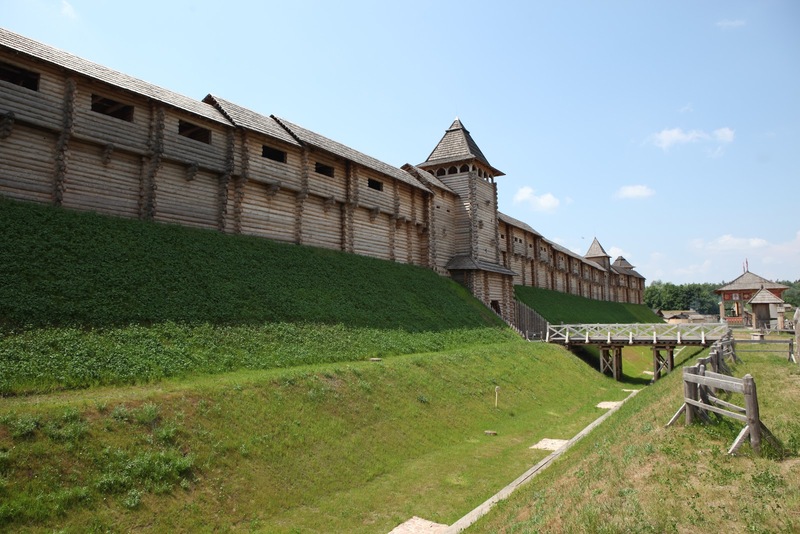 Today, this place is known primarily due to the historical and cultural complex “Radomysl Castle” opened in 2011. 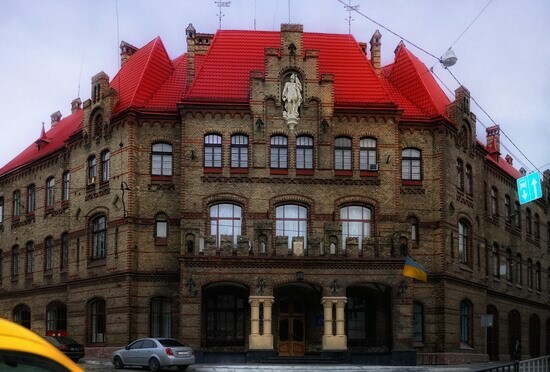 The main attraction of the castle is a unique museum of home icons, the only one in Ukraine. Also, there is a beautiful landscape park around the castle. Entrance costs 50 UAH (about 2 USD). Photos by: Alexander Shvab. Construction of this building, located on Podvalnaya Street, 6 in Lviv, began in 1899 and lasted until 1901, when the fire station began its work. It was designed by the outstanding Lviv architect of the late 19th – early 20th century Juliusz Hohberger (1840-1905) in collaboration with Ignatius Brunico. Buky is a small village with a population of about 500 people located in Kyiv region, to the west of Bila Tserkva, about 120 km from Kyiv. Vorokhta is an urban village located in Ivano-Frankivsk region, at an altitude of 850 meters above sea level, on the Prut River. This place is a training center of Ukrainian athletes in ski jumping, biathlon, cross-country skiing. Also, this village has one of the oldest monuments of Hutsul wooden architecture (the early or mid-17th century) – Church of the Nativity of the Virgin. 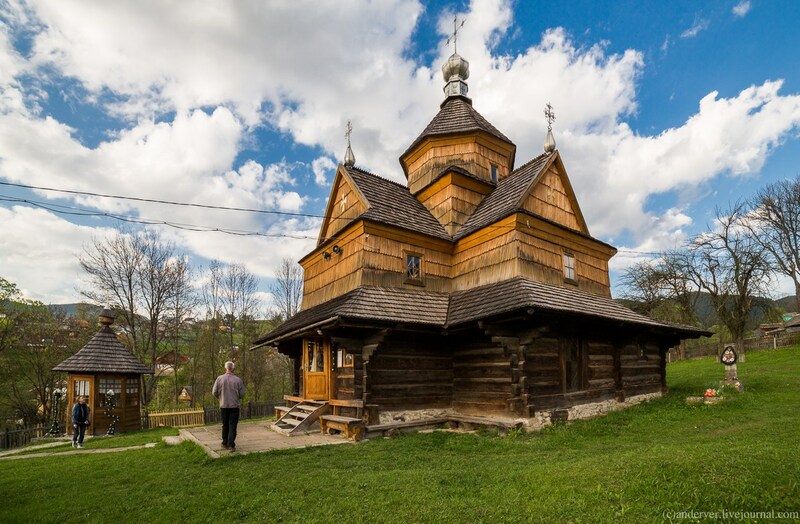 This wooden church built without a single nail stands on a hill in the northern part of the village. Photos by: anderver. Kharkiv is the largest city in the north-east of Ukraine, the second most populous city in the country. It was the third largest industrial, scientific and transport center in the Soviet Union after Moscow and Leningrad. In the second half of the 20th century, it became the main transport hub of South-Eastern Europe. Video by: Anton Ovcharenko. Khotyn fortress stands on the bank of the Dniester River in Khotyn town (Chernivtsi region), about 20 km from Kamenets Podolskiy. Khotyn is one of the oldest Ukrainian towns emerged at the turn of the 10th-11th centuries. 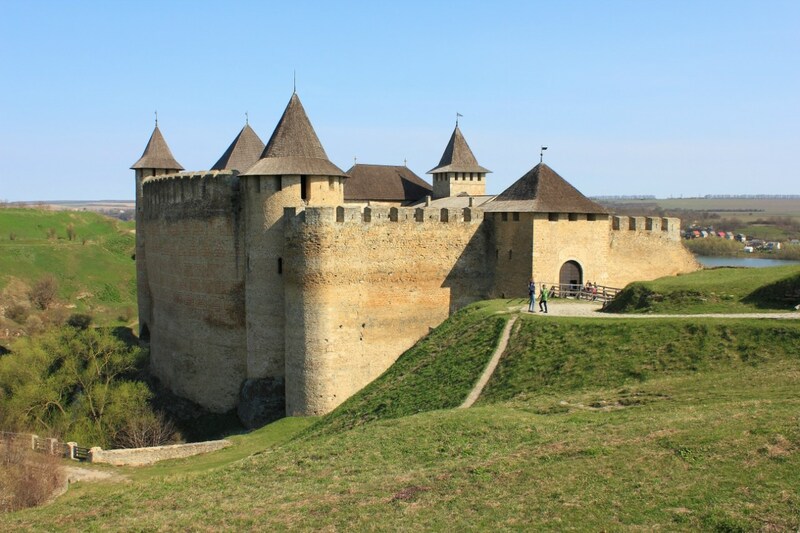 In the second half of the 13th century, by order of King Daniel Galitsky, a new stone fortress was built in place of the old wooden one; it became one of the strongest fortresses in Eastern Europe. Photos by: Igor Golovach. This beautiful wooden church of the Nativity of the Blessed Virgin is located in the village of Kryvorivnia, in Verkhovyna district of Ivano-Frankivsk region, in the heart of the Ukrainian Carpathians. The church, an architectural monument of national importance, was first mentioned in 1719. The peculiarity of the church lies in the fact that during these three centuries, in spite of everything, it has never been closed. 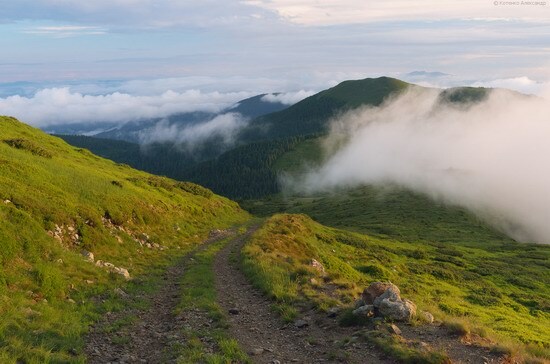 Ukrainian part of the Hutsul Alps, a mountain group also called the Rakhiv Mountains and Marmarosi, is located in the southern part of Rakhiv district in Zakarpattia region. The Hutsul Alps is the most diverse and picturesque mountains in the Ukrainian Carpathians thanks to high altitude (over 1,900 meters), deep valleys (up to 1500 m), and diverse geological structure. The Ukrainian-Romanian border passes through the Hutsul Alps. Photos by: Alexander Kotenko.